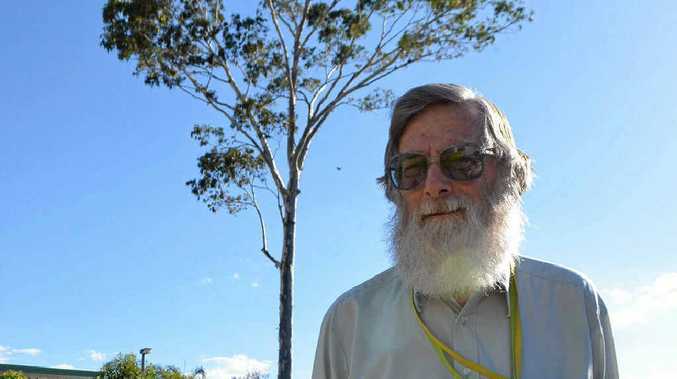 WHEN students found out Mr Fifoot was leaving Lockyer District High School at the end of the year, after 49 years at the school, their first question was, why not wait until 50 years? His response - "Well 49 is seven squared". While he was joking, it was a perfect answer for a question he doesn't really have an answer for, and perfect for that of a mathematics teacher. Everyone's second question of course was his reason for leaving. Bob Fifoot said while he could still understand and explain maths, he was finding that helping children who had personal distresses or difficulties was getting harder. "It will be difficult (to leave) but it has got to be done," he said. Mr Fifoot came to Lockyer as a fifth-year teacher 49 years ago. Originally from Bowen, he attended boarding school, finished Year 12 and attended the University of Queensland where he completed a degree in science, majoring in mathematics and physics. He needed a fellowship because of lack of money, which was aimed at becoming a teacher. He then did a diploma of education and became a teacher. He taught at Kelvin Grove and lectured at the Gatton College before heading to Lockyer. 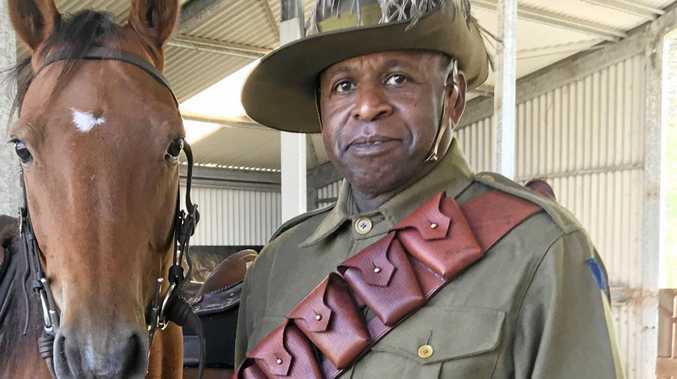 "I did high school teaching because in those days primary school teachers didn't have to do a degree and only went to teaching college and there I couldn't have done math or physics," he said. He described his decision to become a teacher as a natural one. Throughout his teaching career, Mr Fifoot has taught mathematics, physics, chemistry, junior science, IPT, years 8, 9 and 10 and pre-vocational maths, music and even tennis. While it would be impossible to say, he estimates he has taught more than 5000 students in the past 49 years. "It makes me hope that I have done it properly. All of those people's lives have been affected by me," he said. He has taught generations of families over the years. "Some students say I have taught their grandparents - not many of those though," he said. "I feel as though I belong in their family." Mr Fifoot said he did not want to leave and perhaps in different circumstances he could keep going. "I really, really enjoy teaching," he said. "It is fascinating watching students' minds get the ideas that I am teaching. "I like it when students say, 'oh I see'. "Some get the blocks quickly and sometimes you need to push them a bit." While a lot of other teachers have been at the school for long periods of time, Mr Fifoot has rightly declared himself as the winner of the longest innings. He said deciding to stop wasn't a quick decision and one he didn't take lightly. "To a degree it has become plain that I should stop," he said. "I like being here and it is going to be difficult and I will have to build a different lifestyle." With only weeks left of the school year many students have told him they do not want him to go. He has received many well wishes and the Year 12s are glad they can all leave together. Mr Fifoot said every year he got attached to the departing students. "You don't become friends with the students, the relationship is like a parent to a child and you do get separation anxiety," he said. Mr Fifoot's love of the school and the community is perfectly clear. "I have no idea why but the community who runs this school are the best people I have ever met, and their children are the best children I have even met," he said. "Some might say 'well you haven't been anywhere else,' but I have before I came here and it is clear we have something special." He believes loyalty to children is the best quality you can have as a teacher. "I do think I am quite observant and aware," he said. Mr Fifoot doesn't know what he is going to do without teaching but he is already planning projects to do involving one of his interests - antenna design. He said he had never once been bored at Lockyer and as this era in his life came to an end he had no regrets about staying at the one school for so long. "There has always been things to do, new things happen in one place as though I had been somewhere else," he said. "I definitely haven't accomplished everything I can as a teacher."